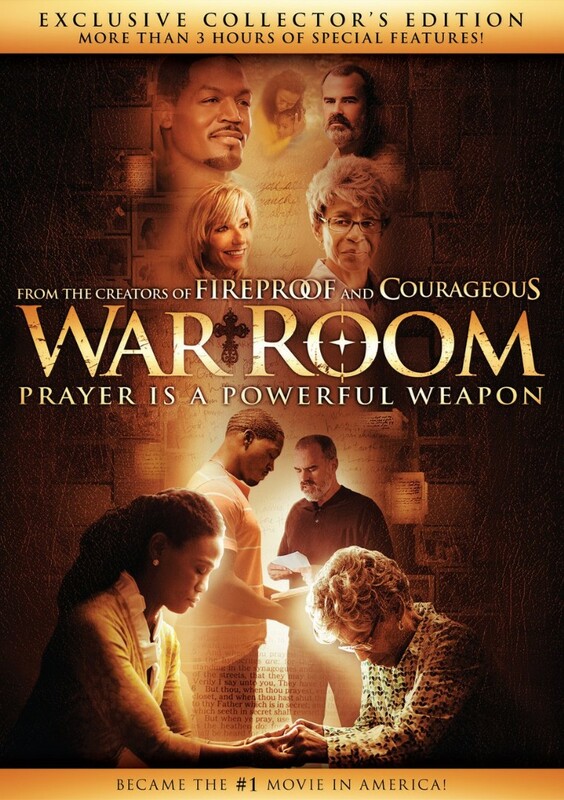 Prayer is a powerful weapon! From the award-winning creators of Fireproof and Courageous comes WAR ROOM, a compelling drama with humor and heart that explores the power that prayer can have on marriages, parenting, careers, friendships, and every other area of our lives. Tony (T.C. Stallings) and Elizabeth (Priscilla Shirer) Jordan have it all: great jobs, a beautiful daughter, and their dream house. But appearances can be deceiving. Tony and Elizabeth Jordan's world is actually crumbling under the strain of a failing marriage. While Tony basks in his professional success and flirts with temptation, Elizabeth resigns herself to increasing bitterness. But their lives take an unexpected turn when Elizabeth meets her newest client, Miss Clara (Karen Abercrombie), and is challenged to establish a 'war room' and a battle plan of prayer for her family. As Elizabeth tries to fight for her family, Tony's hidden struggles come to light. Tony must decide if he will make amends to his family and prove Miss Clara's wisdom that victories don't come by accident.